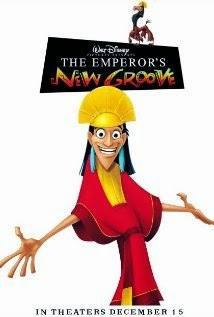 The Emperor's New Groove - The music, the characters, the breaking of the fourth wall! One of my favorite Disney movies (as you may have guessed from my "Frankenstein" review) and an amazing take on "The Emperor's New Clothes." 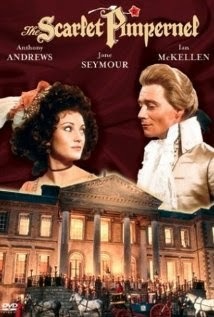 The Scarlet Pimpernel - The one starring Anthony Andrews, Jane Seymour and Ian McKellan. You know, back when they were all younger. 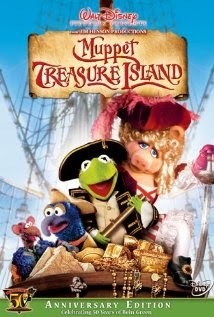 I know it's about the French Revolution, but if you don't laugh at least once during this movie, you have no sense of humor. 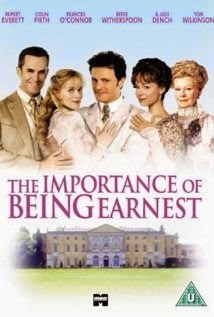 The Importance of Being Earnest - The version starring Colin Firth, Rupert Everett and Judi Dench being preferred due to a certain singing scene. (I have them singing the full song on my iPod.) If you don't laugh at least once during this movie, you are probably dead. 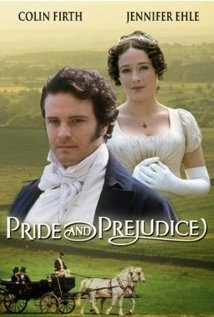 Pride and Prejudice - The super long BBC version starring Jennifer Ehle and Colin Firth. (Miniseries count as movies, right?) It's long as anything- maybe watch one part each night?- but it's so worth it. The casting is impeccable. 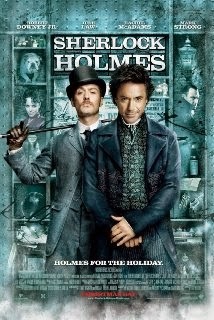 Sherlock Holmes - I know not everyone loved the quirky, steampunk-ish take or Robert Downey, Jr., and Jude Law as Holmes and Watson, but I really enjoyed this one. 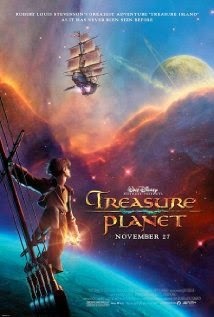 I thought it was a great action adventure and the villain was good. 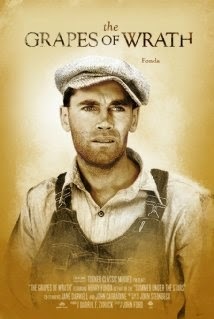 The Grapes of Wrath - It's a horribly depressing story, but I think depressing is easier (and quicker) to watch through than read through. And the low-light cinematography is awesome. 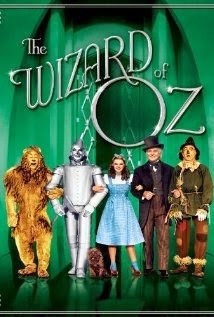 The Wizard of Oz - It barely follows the book, but it's one of the most successful and recognizable musicals ever. You have to include it just for that, right? Alice and/or Neverland - I couldn't pick one for the 10th slot, so I'm including both. The Syfy Channel has done a couple of really interesting miniseries adaptations of classic literature. They did a weird cyperpunk take on Oz in "Tin Man" and a parallel world harvesting emotions from humans in the Hearts Casino in "Alice." 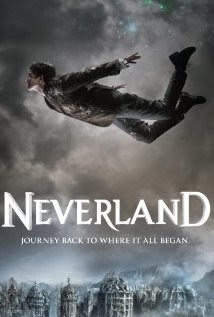 And in "Neverland," no one grows old for a reason and a quasi-scientific one at that. Come on, I know I can't be the only movie/TV watcher out there. 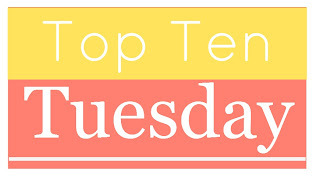 What are some of your favorite adaptations of or twists on the classics? Modernized Shakespeare plays? Victorian novels rendered in color? I am so glad you went with classic film adaptations instead. I normally just don't go in for reading classics - but watching them? A different story! I know exactly what you mean. I am trying to read more of them, but the movies are usually more enjoyable. I love the BBC's Sherlock, too, but I was sticking to films here so it couldn't make my list. :( I wonder if Syfy will be trying any more classic adaptations soon. Yeah, I know the feeling. I had to cut Sherlock Holmes out of my classics list totally because I felt like it was cheating including all of them as one pick, and I can't choose a single favorite. I rather hope SyFy does do some more. They actually do a pretty good job. 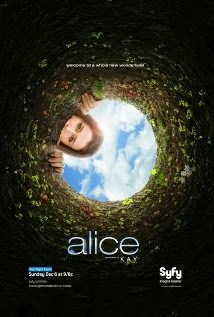 Syfy has done some great miniseries, I loved Alice and and Tin Man. The one with Fassbender? I thought that was fairly good. Can't say I've seen the other yet. I love, and I mean LOVE, your take on this topic, Kel! I'm such a big movie person (I'm seriously dying inside that I haven't been to see Maleficent or How to Drain Your Dragon 2 yet, fixing that soon) and an even bigger retelling person. So I love seeing your faves and getting recs as well! I didn't know that Syfy did adaptions! Maleficent was good and I'm hoping to catch HTTYD 2 at the drive-in this weekend. :) Syfy hasn't done a new "classic" in a while, but you can get their miniseries on DVD, and I may have seen one of them on Netflix.